Stage 1 is where the ultimate performance starts at! 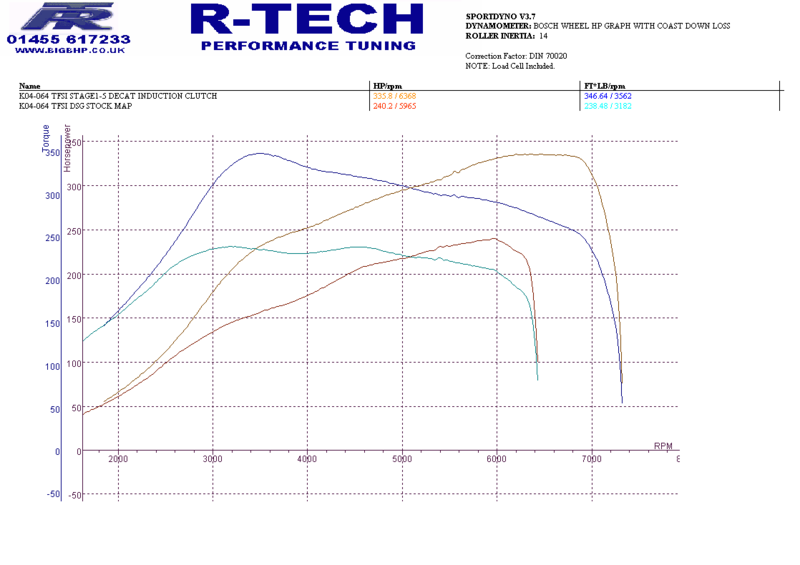 MIN Requirements for STAGE 1 custom R-Tech remap session. Performance Panel Filter or Induction kit. All map will include the unique R-Tech VVT and TIV mapping and ASR traction control mapping to cater for the additional power. All maps will be carried out in house on our Bosch Rolling Road dyno a typical stage 1 custom map will take around 2.5 to 3 hours with around 2 hours dyno time. 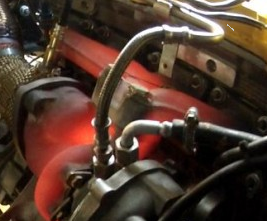 Maps can be setup to your requirements, linear throttle – linear boost – aggressiveness can be stipulated during tuning. All R-Tech customers will get a life time of ownership support – free diagnostics and logging sessions post tuning. For Bookings please call 01455 617322 or use the contact form from the tab above. The limitation at stage1 is “HEAT” and “FLOW”. 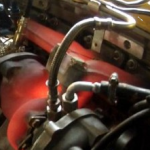 Basically an engine is a pump the more air the engine(pump) can flow in then out the more power we get which is about as simple as it gets with explaining tuning. Below is a dyno plot graph from one of our customers cars. BYD K04 TFSI DSG running v-power fuel and stock hardware making an healthy safe 305hp fly wheel power with 333lbft. Map extras loaded TIV ASR and VVT fast spool. This next graph is from a 2011 Mk5 Golf ED35 with the latest CDL engine which also supports the K04-064 turbo. Again this car was ran on v-power fuel with a Pipercross inbox panel. You will notice the plots are all most identical but two diffrent engines and transmission setups, this is because the out right engine flow is limited by the pre-cat and main cat, removed the cats to reduce heat and improve flow then we can get much greater results. The three options you have to unlock the power move with out spending silly amounts of money are, 1 remove the pre-cat from the oem down pipes which will give an around 10-15hp more power top end and better mpg, 2 remove both cats from oem down pipe and unlock another 20-33hp or 3 invest in a performance sports cat and down pipe which again should see 20-33hp gain at the top end (its a good idea to go for the upgrade down pipe if you are planning to go to stage2 or above.